The federal Liberals plan to spend an extra $114.7 million to help pay for temporary housing for asylum seekers — a sum Ontario's government criticized as being hundreds of millions short of what is needed. The influx of irregular migrants has increased pressure on provinces to provide shelter and social services. Cities too have felt the crunch with the mayors of Canada's largest cities on Monday calling for more federal housing money they say is badly needed. A spokeswoman for Border Security Minister Bill Blair said the extra spending — referenced among $2.5 billion in new spending plans tabled late Monday by the government — is an acknowledgment that irregular border crossers have had a significant impact in places like Toronto and Montreal. The money is on top of $50 million the Trudeau government offered to Quebec, Ontario and Manitoba last summer to help with temporary housing costs for asylum seekers. The majority of the money, $100 million, will flow to provinces, with the remaining $14.7 million earmarked for temporary housing provided by the federal government. No breakdown has yet been offered on exactly how much each province or municipality will receive as part of this planned new spending, nor about how decisions will be made on what eligible costs will be covered. Marie-Emmanuelle Cadieux, Blair's press secretary, said cost-sharing agreements will be developed with provinces and cities to help with "immediate housing pressures" let local officials make decisions because they are "best-placed to manage pressures felt across their cities." However, the new spending falls far short of what the Ontario and Quebec governments say they have spent on irregular migrants, $200 million and $300 million respectively. On Tuesday, Ontario Social Services Minister Lisa MacLeod tweeted Tuesday that the new spending is "a full $400 million less than the request from us (Ontario) and Quebec combined." MacLeod was not made available for an interview. 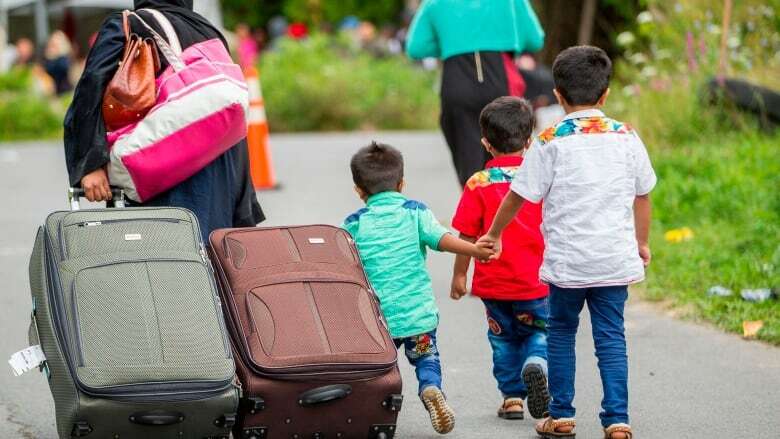 Her office said the minister provided a cost breakdown in August and the legislature has asked the provincial auditor general to review Ontario's asylum seeker costs to ensure transparency. In July, Immigration Minister Ahmed Hussen called his provincial counterpart's hardline stance on border crossers "dangerous" and "not Canadian." MacLeod, whose provincial department oversees immigration, called Hussen's comments "divisive rhetoric" and walked away from participating in an ad hoc intergovernmental task force on irregular migration. The Liberals have blamed the frosty relationship with Ontario Premier Doug Ford's government to explain why some cities didn't get money to help defray housing costs. Ottawa Mayor Jim Watson said Monday that housing irregular migrants cost his city $5.7 million in 2017, but said federal compensation only flowed to Toronto, which received $11 million last year. In response, the federal Liberals accused the Ford government of not playing ball in funding negotiations. "The federal government cannot work directly, efficiently, with the municipalities in Ontario. We work effectively with the province of Quebec, we've been doing that for many months and it works, it helps municipalities. In Ontario, the missing player is the government of Ontario," Social Development Minister Jean-Yves Duclos told reporters Monday. "However ambitious and willing we are to assist cities like Ottawa, we need the partnership of the government of Ontario, and that complicates our relationships with cities across Ontario." The rest of the $2.5 billion in new money in Monday's spending plans include $323.2 million for demand-driven services to veterans; $313.9 million for international military missions; $163.5 million to write off unrecoverable Canada student loans; $159 million for arctic and offshore patrol ships and $149.7 million to fund the government's feminist international-assistance agenda.